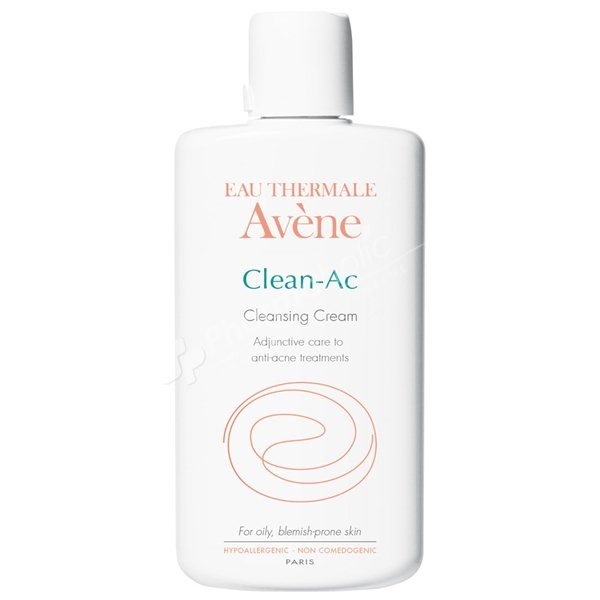 A hydrating and soothing cleansing cream for skin that is irritated or dehydrated by acne treatments. Complementary care to dermatological medications and treatments. Apply AM/PM after thoroughly cleansing with Cleanance Soap-free Gel Cleanser. vene Aqua, Coco-glucoside, Sodium Laureth Sulfate, Sodium Laureth-8 Sulfate, Glycol Palmitate, Cetearyl Alcohol, Glycerin, Glycol Stearate, Hydrogenated Palm/Palm Kernel Oil PEG-6 Esters, PEG-40 Hydrogenated Castor Oil, Petrolatum, Acrylates/C10-30 Alkyl Acrylate Crosspolymer, Benzoic Acid, Butyrospermum Parkii, Caprylic/Capric Triglyceride, Carthamus Tinctorius, Chlorphenesin, Disodium EDTA, Parfum (Fragrance), Magnesium Laureth Sulfate, Magnesium Laureth-8 Sulfate, Magnesium Oleth Sulfate, Phenoxyethanol, Simmondsia Chinensis, Sodium Cetearyl Sulfate, Sodium Lauryl Sulfate, Sodium Oleth Sulfate, Sorbic Acid, Triethanolamine, Xanthan Gum, Zinc Gluconate.